This is a wine blog, but I don’t consider myself a “wine blogger”. 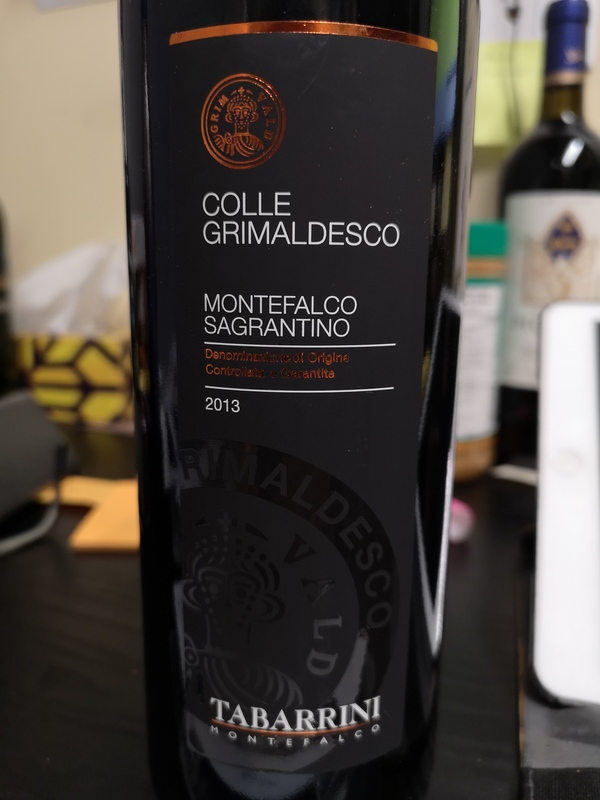 I don’t receive “free samples” to write about (mostly because our laws pretty much prohibit that), I have to rely on importers/distributors to bring in the latest, greatest exciting wines, and if they’re made with Italian native grapes, well that’s even better! I certainly don’t post regularly (or as much as I should). Life keeps moving on, and then I find a month gone by without a new post! Anyway, I’ve been thinking a lot about 2019. Mostly because it’s the year where I have a rather significant birthday approaching in just six short months. I always thought I was ok with it, but lately I’ve been thinking about it with mixed emotions. When I turned 40, I embraced it wholeheartedly. My whole attitude was “bring it on”. To be fair, I’ve accomplished a lot in 10 years… (and there it is…you know how old I will be!) I finished my WSET diploma, became a manager and buyer of a boutique wine store, traveled to Italy several times and obtained an expert designation in Italian grapes/wine, a harvest internship in South Africa, other family trips with my husband &/or daughters, watched both my daughters graduate from high school and enter University, visit with my extended family several times, and much, much more! Life is too short to drink bad wine…so this year, I’m going to be a lot more discerning about what I drink; ie what I actually swallow! January is a I’m-limiting-my-wine-intake-month…time to detox from the Christmas season of events, get-togethers, and just a lot of wine consumed, typically on a daily basis. This will not be easy for me, but I will be taking the time to look at the wines I DO have in my wine rack and in my save-for-much-later wine fridge. No bubbly…of ANY kind, no Italian reds and no Aperol spritz’s. *Sigh* Tea will become my new best friend! More time to write about wine without actually tasting it! Perhaps from a terroir, or location perspective? It’s all good though, because January will be my month to study Italian, and I mean deeply study it. Podcasts, television shows (you can learn a lot from other language soap operas! ), radio, reading, book work, reviewing verbs, and most importantly…speaking, until I get to the point where my face doesn’t turn beet red or I don’t get a blockage in my throat because I’m too afraid to say anything, lest I make a mistake! But as they say…how you learn is by making mistakes. So 2019 will be a year of mistakes! Haha! So learning Italian will be a big thing for 2019. Another big thing will be getting stuff paid off…good grief, this is the time of life where things are supposed to be easier! Kids are staying home longer (not like back in the day when WE left home at 18…), things are more expensive and there’s always “just one more thing”. You know how it goes. Along with a I’m-limiting-my-wine-intake-month in January comes a moratorium on wine. That’s right! No buying wine either! That will actually be easier than not consuming it! 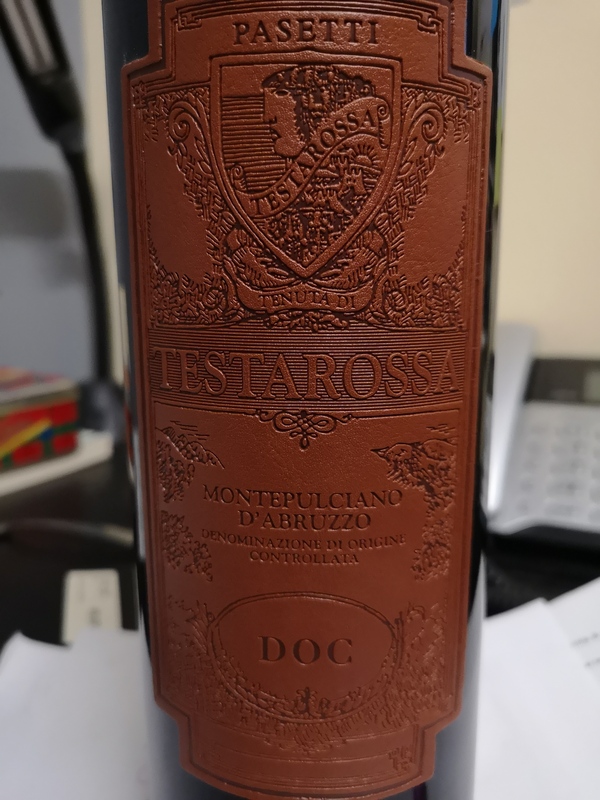 d’Abruzzo, (a magnum with a stunning leather label) along with other gems I might find along the way! So, in six months, I’ll write another post after the big day and write an update to feature some of the outstanding wine that I was able to taste! (But I WILL post others before that!) Buon Anno e Salute! There’s this lure about Champagne; she seduces us with her fine bubbles, her lineage, her cache, chicness, and sometimes, that je ne sais quoi. Somm’s adore her…in fact there’s not one wine professional out there who I know that doesn’t love champagne. For me, it was never the first thing I would reach for when I had company, or to serve for that special occasion. In my diploma days, where I shone through the fortified section, I struggled with the sparkling. Cava, Franciocorta, Champagne and other sparklers were my nemesis and finding those special nuances to tell one apart from the other usually escaped me. Or distinguishing what grapes make up the majority of the blend! Ugh! Although I passed the sparkling section, I never got to the point where I loved champagne, and didn’t I need a reason to serve it, or have it. As time passed, I realized that you never need a reason to serve, taste or drink champagne! As of late, I’ve been spoiled because distributors are bringing out the bubbles to try to sell to us retailers, so I’ve been tasting a lot. And over time, I’ve come to be actually call out what the major grapes are! Meunier brings fruitiness to the blend, chardonnay will have that chalky, citrus, granite note, and pinot noir gives structure and body. Hmm…what’s happening here? 🙂 And I’ve discovered, that I prefer blanc de noir rather than blanc de blanc! I like the structured champagnes with the added fruitiness, with only a bit of that chalky limestone! Then there’s my friend and our daily customer to ‘The Church of Hicks’ who loves champagne and also is more than happy to share with me a bottle (or two) with me! In fact, it was his 70th birthday, where I had the Krug Grand Cuvee. Yeah, it’s pretty amazing stuff…but I’m rather fond of grower champagne. In the past, the small growers or families would supply their grapes to the big Champagne Houses like Bollinger, Roederer, Veuve Clicquot, Pol Roger…just to name a few. Now, we are seeing more of the growers making their own bubbles and doing a mighty fine job of it! Champagne Lombard is in the heart of Epernay, and this family only uses the finest grapes in their cuvees. The extra brut is super dry with only 4 g/L of residual sugar, and the blend is 40% chardonnay, 40% meunier and 20% pinot noir, all from their premier cru sites. Amazing champagne with notes of lemon curd, brioche, crimini mushroom, toasted nuts – those beautiful notes that make champagne champagne! Alas, this was the last bottle and there is no more available in the province to order! 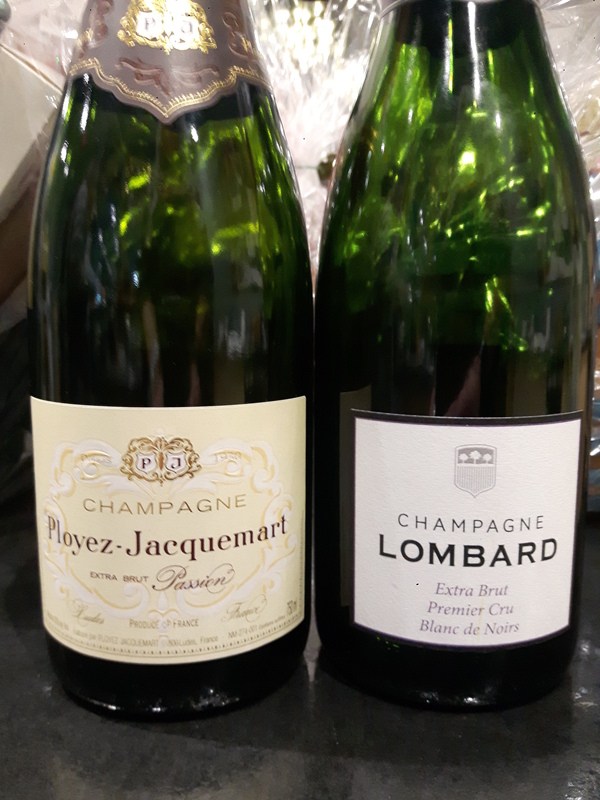 Champagne Ployez-Jacquemart is three generations of winemaking starting with husband and wife team Marcel Ployez and Yvonne Jacquemart in 1930. They work with the three main grapes of champagne in their premier and grand cru vineyards. The Extra Brut Passion has only 3 g/L RS with 44% pinot noir, 38% chardonnay and 18% meunier – another Blanc de Noir. Dryer than the Lombard, but more fruit up front with green apple and lemon-lime, biscuit and even hints of red berries! Fine, persistent bubble with a flavourful finish! Great price too at $68.95 on the shelf! Champagne Collet started its life as a cooperative called Cogevi. In 1930, we see the wines taking on the name of the director of the company, Raoul Collet and the company making a major move to Ay, one of the villages at the heart of Champagne. Today, the modern technology combined with the historical significance of the Cogevi brand, has earned it great respect amongst champagne houses. It is still a cooperative, but their flagship brand is Champagne Collet. In 2021, they will celebrate their 100th anniversary! I had the opportunity to try both the brut, and the Vintage 2008! Meunier vs Chardonnay definitely at play here! Again, the brut was more fruit forward with 50% Meunier, 15-20% chardonnay and 15-20% pinot noir. Lots of toasted brioche with lemon lime. The vintage brut really kicked it up several notches with my nose and palate detecting more chardonnay. All that mineral chalkyness with smoke, flint and brioche coming through the 66% chardonnay, with beautiful structure coming through, and the 34% pinot noir adding toasted nuts and further complexity to the blend. The brut is $61.95 and the Vintage 2008 around $100/bottle. My dilemma will be which wine to order! Some very famous people had some great things to say about champagne! I bet now your next bottle of champagne will be extra special! Santé! A year ago, I took part in La Famiglia di Amarone tasting at the Collisioni Festival in Barolo. The great family wineries (and there are many) that make the style of Amarone – wine made from a blend of dried grapes; typically Corvina, Corvinone & Rondinella, (and a multiple of others) to make this high alcohol-high tannin-big mouth-highly ageable wine. And these wines come from Valpolicella, a highly reputable region located in the Veneto in NE Italy. But what many DON’T know is that some of these families also have land located closer to Lake Garda, the home of Trebbiano di Lugana, aka Turbiana, aka Trebbiano di Soave – which is also known as Verdicchio, one of Italy’s greatest white grapes. Ah…gotta love Italian grapes! Synonyms galore…or should I say biotypes. Since there are eight different Trebbianos out there (that are all unrelated by the way), let’s not confuse this one with what I sometimes like to call the ‘armpit grape” of Italy – Trebbiano Toscano. But I digress…due to the quality challenges of (some) of the trebbianos out there, some producers have chosen to label their wines as Turbiana. So, if you see this on the label, essentially it is Trebbiano di Lugana, the wine that we are discussing today! Lake Garda sits with Lombardy to the west and Veneto to the east. Lugana sits on the south shores of the Lake while Valpolicella sits to the east of the lake. Chalky clay soils suits the Turbiana grape, the chalk providing the essential acidity to the wine and the clay bringing the roundness and longevity to the wine. One of the families of well known Amarone is the Zenato family. Many awards and accolades given for their Reserva Sergio Zenato wine, but in 1993, patriarch Sergio realized the potential of the Lugana area and the Trebbiano di Lugana grape. He also created a reserva of this wine, aged in oak. The San Benedetto is the first tier, and the wine that I have tasted for this post. Unlike the reserva which is fermented partially in large oak barrels with further ageing in small oak barrels for additional complexity, the San Benedetto is done completely in stainless steel. This allows a freshness to the wine with great aromatics. This wine had that high searing acidity with flavours of melon, citrus and hints of pineapple and grassiness. To be honest it took some time to open up and I have some leftover to try today to see if it has improved overnight. Clearly, it needs food, and my magical pairing? Salt and vinegar chips! When drinking wine at 9:30 pm, a full meal is NOT what I need, but any salty snack would work wonders with this wine! Salute! 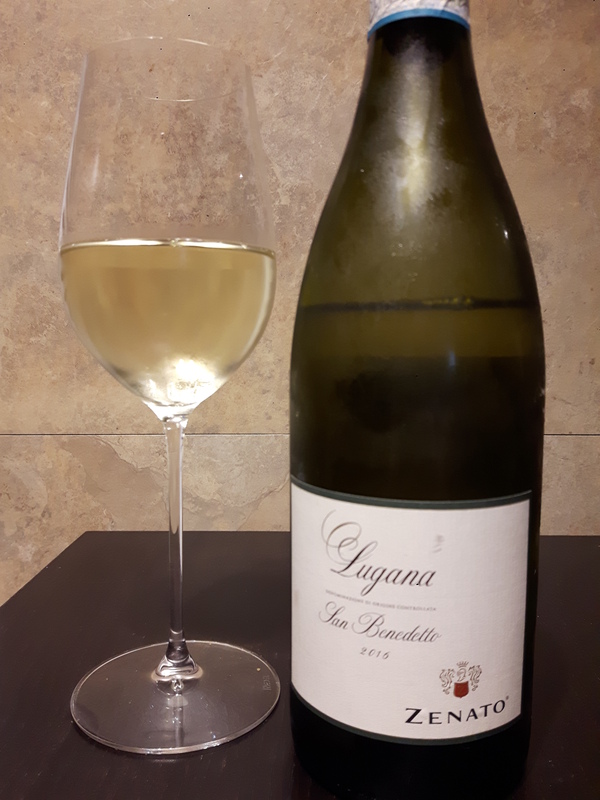 My colleagues here at #ItalianFWT have some other examples of Trebbiano di Lugana along with some delicious pairings – check them out! I love it when people celebrate birthdays. No, not your kid’s first birthday, or their 13th or 18th, but a 65th or 70th, 80th and 90th birthday! Now those are really worth celebrating! Imagine my delight and surprise to be invited to a 70th birthday for one of our loyal customers, with whom I also consider to be a friend. A small, catered affair with only 13 people around the table, so I certainly felt blessed to be in such great company! One of the best parts of the evening, was being able to “raid” the host’s cellar! The host is also of a similar age bracket, and like my friend, collects wines. He has the temperature/humidity controlled cellar, complete with racks up top and drawers for the wooden boxes below. What a treat to have been able to choose the wines for the dinner! It was like being a kid in a candy shop! Wine candy! Choosing was interesting as I knew I wanted to choose with my friend’s favourites in mind (merlot and sangiovese), but also keeping in mind that there were others at the table; men and women, not to mention what we were eating. We started out with Krug champagne and beluga caviar, so you can glean what kind of evening this would be! Nothing but the best for this 70 year old! I ended up choosing what I thought was a little bit of everything for everyone! Napa chardonnay and cabernet, Burgundy pinot, Bordeaux, Barolo were among some of the choices. The hands down favourite was the Hermitage blanc (50/50 blend of marsanne/rousanne). We loved it so much we needed to open a second bottle. The Pauillac Lynch-Bages 2010 saw the bottle drained as well, and the big surprise of the night was the Vilafonté from South Africa. J.L Chave is one of the premier winemakers of the Northern Rhone valley, where he makes age worthy, noteworthy wines from both estate grapes, and a 2nd label with purchased grapes of the utmost quality. His wines are truly phenomenal, and there isn’t one that I’ve tried that I haven’t like. And paired with escargots and crostini in a butter truffle oil, was absolutely divine – there’s no other way to describe it! Sometimes the price doesn’t equal quality, but in this case, it most certainly did! I was gifted one of these bottles when I left with really no idea that the retail price tag is a cool $340! Cha-ching! Vilafonté is a South African property around the Stellenbosch area, so named for the soils of the area. It’s some seriously old dirt here, dating back a million years or so (that’s what they say). This was the Series C, 2013 vintage, that has been described by the winery as “rich and dense”. I would agree! After being opened for over an hour, it still needed a decant, which we did, and it became smooth, rich and luscious, full of those black fruit flavours and aromas associated with both cabernet sauvignon and cabernet franc. No wonder I loved this wine…cab franc is certainly one of my favourites, and this wine brought me back to South Africa! That is just a small sampling of the evening, truly memorable for me, and I sure hope for my friend too! Good food, good friends, good wine…can’t ask for much more! My friend lives life to its fullest! His ‘end of life plan” is to get on a plane, with a one way first class flight to “somewhere”, where he’ll drink amazing wine, then he’d come back cargo, and he’s ok with that! Salute!